Happy Cinco De Mayo! 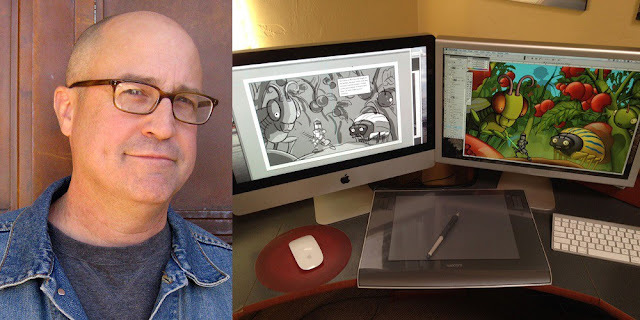 Today GeekDad posted an article about the wonderful Chris Gall on his process when it comes to creating his art. We'd like to share it with you! In this article, Chris talks about how he began drawing, how he's learned to overcome obstacles, and how the use of technology has evolved his technique. Chris also gives us close up examples and visuals to help us better understand his craft. This is a great read for anyone interested in the steps it takes to get a piece going or just simply art in general. Check it out here !! "Chris Gall has been drawing pictures for as long as he can remember. When he was caught doodling on his desk in second grade, his teacher suggested that he might become an artist some day, then made him clean all the desks in the classroom. In seventh grade, Chris won a Read Magazine Young Writers Award, and that inspired him to create stories to go with his art. After graduating from the University of Arizona, Chris became an award-winning, internationally recognized illustrator, and his artwork has been shown in almost every publication in America, including Time, Newsweek, People, Fortune, The New York Times, and The Washington Post." Introducing Aytek Gurkan to RSAR!